It was a hot time on a cool night at Koerner Hall in Toronto as some of the best in Canadian Blues were honoured with Maple Blues Awards at the near sold-out 22nd annual Maple Blues Awards. Vancouver’s Colin James was the big winner of the evening, taking home five awards for Entertainer of the Year, Electric Act of the Year, Male Vocalist of the Year, Recording/Producer of the Year and Songwriter of the Year. Female blues musicians were well represented in several of the other categories, with awards going to Sue Foley for Guitarist of the Year, Lindsay Beaver for Drummer of the Year, Laura Greenberg for Bassist of the Year, Shirley Jackson for Horn Player of the Year, Emily Burgess for New Artist of the Year and Angel Forrest for Female Vocalist of the Year. Calgary based Ellen McIlwaine aka Goddess of the Slide, was honoured for her long career and outstanding contribution to the Canadian blues scene with the Blues with a Feeling Award (Lifetime Achievement Award). The Blues Booster of the Year Award, another special Maple Blues Award, was handed out to the Hornby Island Blues Society for their continued contribution the Canadian blues scene. The volunteer-driven organization hosts the Hornby Island Blues Week and Music Camp every May on beautiful Hornby Island, BC. Their mandate is to bring blues performers to the island to create a greater awareness of Canadian blues music and of the depth that Canadian musicians have to offer. In addition to the 17 Maple Blues Awards handed out throughout the gala event, the winners of the 5th annual Cobalt Prize Contemporary Blues Composition Award were announced. The Cobalt Prize Contemporary Blues Composition Award was created and originally funded by Juno Award winner Paul Reddick, whose goal was to change the way audiences perceive and appreciate blues music. The intention behind the Cobalt Prize is to promote blues music through the exploration of its form. 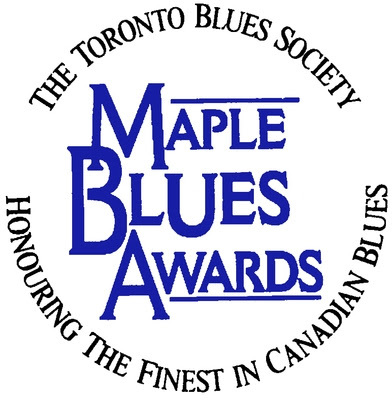 In 2020 the Maple Blues Awards will introduce the Sapphire Award for Best Blues Video. The winning Cobalt Prize for composition was “It’s Happening” by Edmonton based Ann Vriend. The runners up were “Down on Vaughn Rd” by Toronto’s Son Roberts and “Chasing Dreams” by Toronto’s Samantha Martin. A cash prize of $1000 was presented to Vriend, with the second and third place winners each receiving $250. Hosted by popular theatre/television actor and blues artist Raoul Bhaneja, the audience was treated to sizzling performances by Edmonton expat Jenie Thai, Newfoundland’s Earle & Coffin, Ottawa’s Sue Foley (now based in Austin), and Toronto-based guitarist and singer Emily Burgess. Salt Spring Island's Harry Manx teamed up with Monkey Junk's Steve Marriner to preview their new release and Raoul closed the show with the Big Time joined by surprise guest and big winner Colin for the finale.